Many people face the problem of bloating. There are several things that can cause bloating such as: poor eating habits; eating too fast; carbonated beverages or gassy foods (onion, garlic, cabbage, broccoli, Brussels sprouts, legumes etc.) Because of bloating, you may feel uncomfortable during the day. Do you know that you can suffer from bloating due to dehydration? The thing is, our body is made up of water. You need to drink 30 ml per kg (or 0.46 fl oz per lb) of your body weight per day. Doctors recommend drinking water throughout the day to avoid feeling thirsty. Due to dehydration, you may face a number of problems, including: headaches, trouble concentrating, dark urine, dry skin, fatigue, dizziness, and also constipation and bloating. However, there are some remedies that can help you avoid or at least reduce belly bloat. 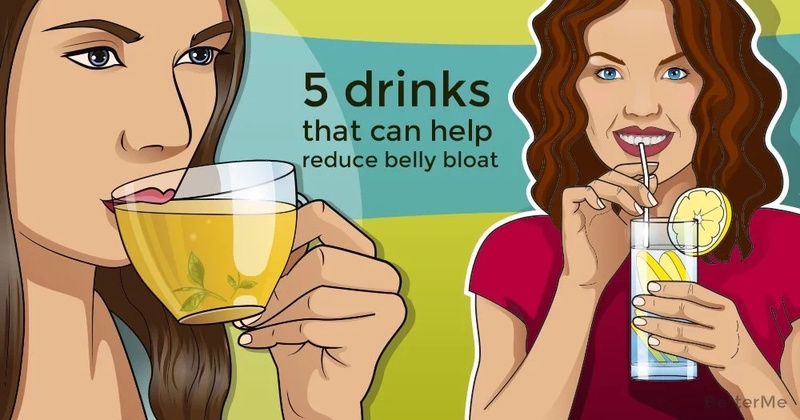 Today, we would like to present you with a list of 5 drinks that can help you reduce belly bloat. Do not expose your body to danger! 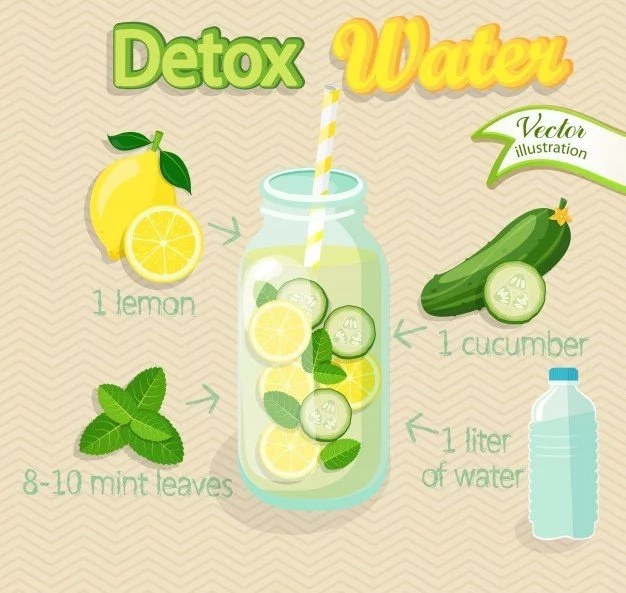 Let’s check out these 5 effective drinks! 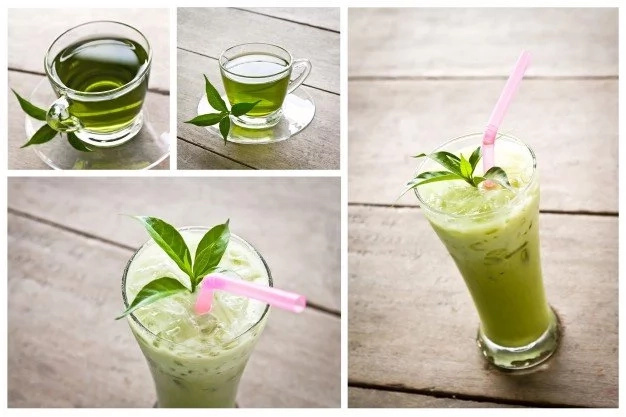 Green tea is a magical drink that can help you quench thirst, boost metabolism, and also can act like a prebiotic. There is one rule, you need to drink only unsweetened green tea. Try to add a slice or two of lemon or cucumber in your water. Water with lemon or cucumber stimulates your metabolism. Do not forget that carbonated water can cause bloating. 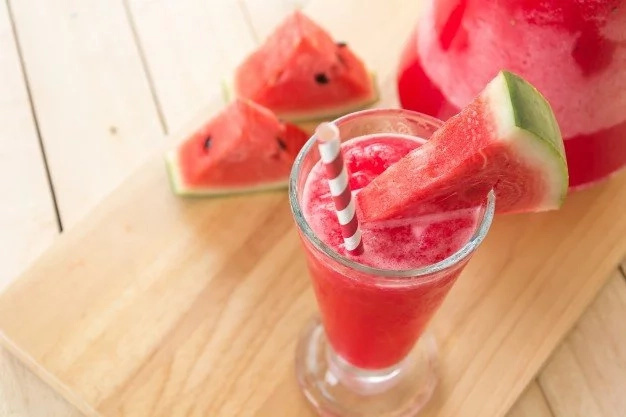 A watermelon smoothie is a delicious and refreshing drink. Watermelon contains a huge amount of water and potassium that helps to relieve belly bloat. Also, this fruit is low in calories. This magic tea has many good benefits. It helps to relieve cramps and relaxes the body. 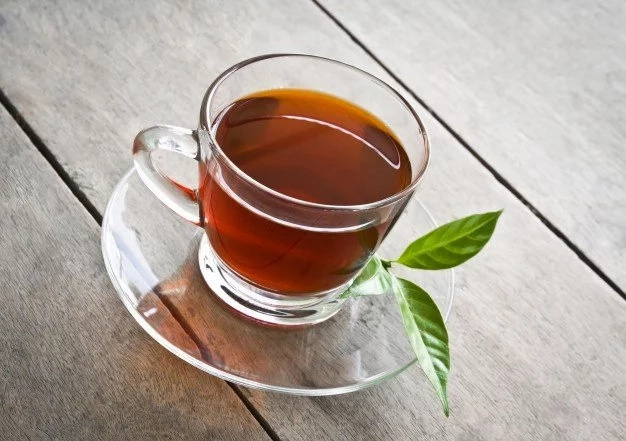 What’s more, peppermint tea is a great remedy for getting rid of belly bloat. Try to pour hot water over fresh peppermint, and let it brew for several minutes. 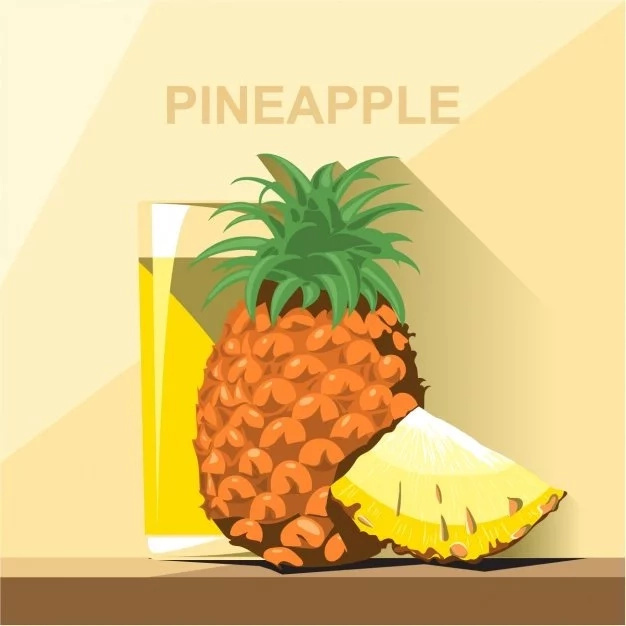 Do you know that pineapple contains the enzyme bromelain? Thanks to its content, pineapple reduces inflammation and stimulates digestion. You should try a delicious pineapple frappe that can help you avoid belly bloat.